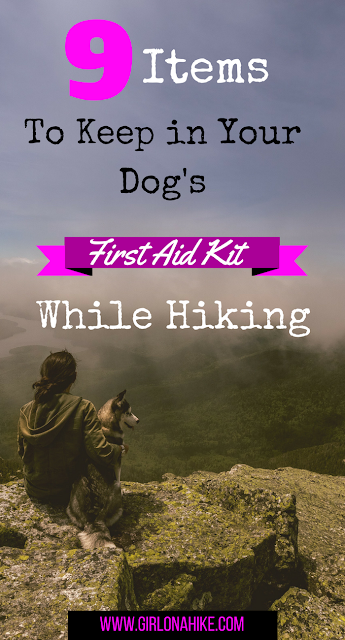 Humans have first aid kits, so why shouldn't your dog? 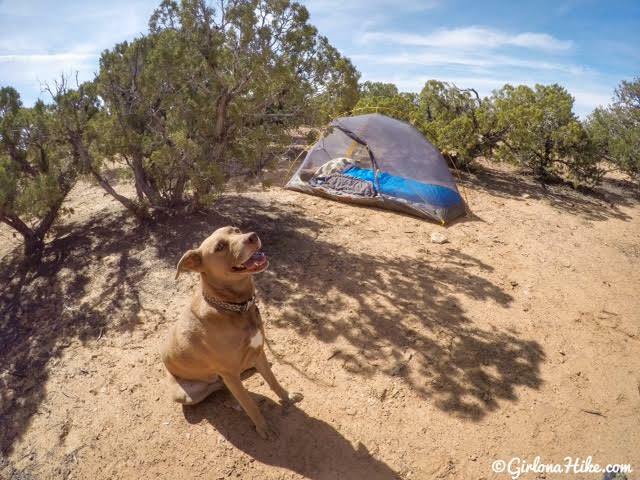 When you are out hiking or camping there's always the possibility of your dog tearing it's paws, getting a dog bite, running into a stick or log, or getting allergies from an insect bite. You could easily buy a first aid kit from the store (and pay a lot of money for it), but making your own Pet First Aid kit is much cheaper, and you can put in the items you will actually use. It doesn't matter what time of year it is, always carry a first aid kit prepped for your furry friend. 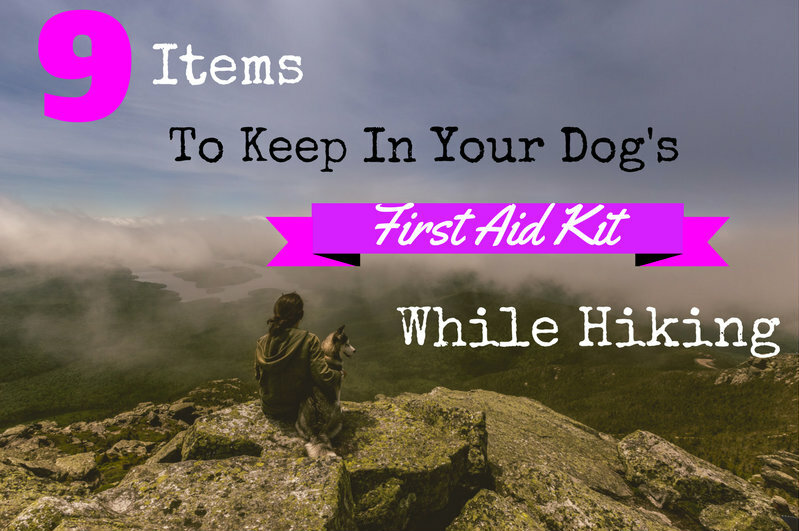 I've put together a list of the 9 Items to Keep in Your Dogs First Aid Kit, that you'll actually use! First, a quick note that I am not nor never have been a Veterinary - always consult your Vet before and after you use any of these products, or clean and bandage a wound. This is the #1 item I use the most in my dog first aid kit. You can use gauze pads to place pressure on an open wound, wrap an open wound, & clean debris off around a wound. I like buying the single packets so you can keep just a few at a time in your kit. These will work for small wounds such as a dog bite (depending on the size of the bite), if your dog snags themselves on a branch, or slices their paw or elbow open. You can also buy these at Walmart for around the same price as Amazon. Keep at least 4-5 single antiseptic wipes in your dog's first aid kit too - you can use these wipes to sanitize injuries. 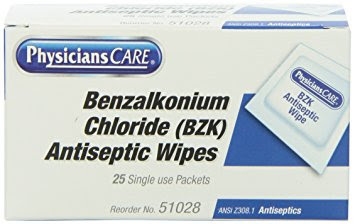 Benzalkonium Chloride helps remove any foreign substances such as bacteria or germs from an open wound. 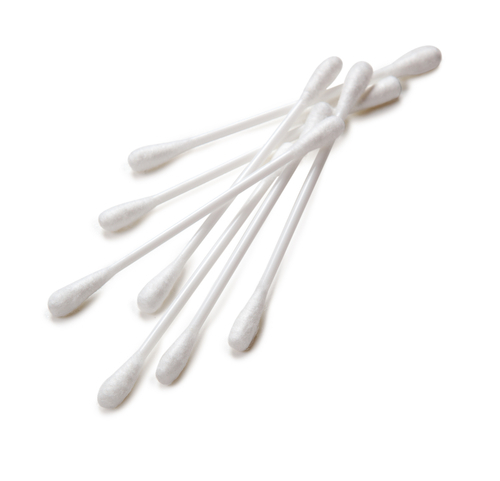 When I've used these on Charlie, I find that I mainly remove dirt. Keep in mind that these wipes are for very thin (or non-deep) injuries such as scrapes that aren't gushing blood. I prefer to use these sting free antiseptic wipes so I don't make Charlie as anxious or nervous about me cleaning him up. I keep at least one roll of athletic tape (in a ziplock baggie so it doesn't get wet) in Charlie's first aid kit while hiking. 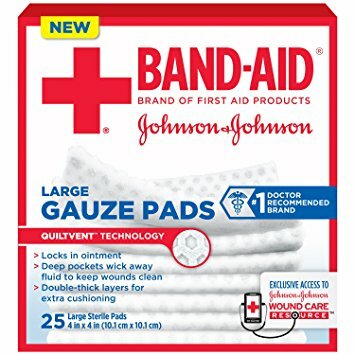 After sanitizing and placing gauze on an open wound, this self-adhesive tape will help keep your gauze in place, and keep pressure on an open wound. On larger injuries, such as a dog bite, I've had to fully wrap athletic tape around Charlie's girth to keep gauze in place. Once a dog starts hiking again, there is a high tendency for all of your first aid work to fall apart if you don't properly secure it. Again, you can easily find these in any first aid area of grocery or corner stores. This is my newest and favorite addition to Charlie's first aid kit. 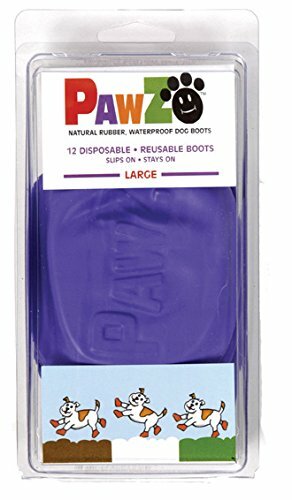 These single use dog boots work great for torn up and bleeding paws or nails. After wrapping the paw with gauze, slip this boot over their paw. It will keep everything in place, protect the pads, and keep dirt away as you hike back down to the car or until you can get more assistance with cleaning and fixing the paw. The texture of these boots feels like a very thick balloon, and is very flexible. Make sure you select the right size based on your dogs breed when you order these. Charlie is a Golden Lab, so he wears a Medium. They are a tad big by themselves, but once you wrap the paw with gauze they fit paw-fectly! Antibiotic Ointment (aka Neosporin) is for protection against infection from minor cuts, scrapes, burns, and abrasions. 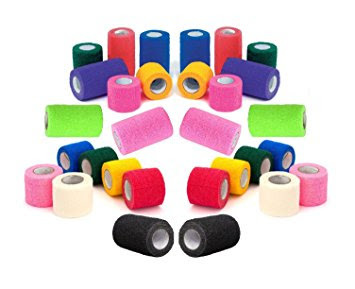 Again, you wouldn't use these on deep cuts, just surface injuries like a dog scrapping up against a tree or log too rough. If your dog is bleeding you don't want to touch it directly with your hands. Although the risk of transmitting infection between you and your dog is very low, the use of disposable gloves helps keep a wound clean. Have at least two pairs of disposable gloves in your dogs first aid kit. Make sure you purchase latex, powder, and allergy-free gloves. 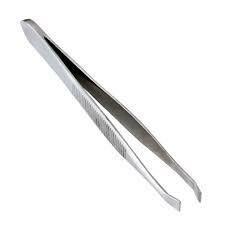 Tweezers will help you pull out anything in an open wound as well as ticks. You can buy these at the dollar store for $1! 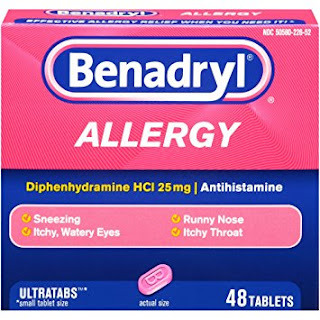 1) Benadryl is most commonly used for allergies and allergic reactions to insect bites or stings, however it can act as a mild sedative. 2) The standard dosage is 1 mg per 1 lb of dog body weight. 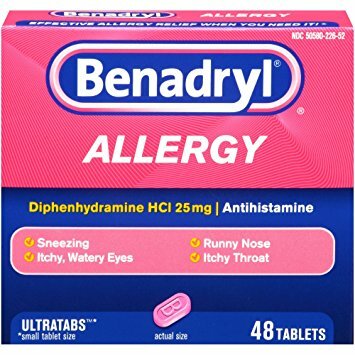 Most drugstores sell Benadryl at 25 mg, which is the size used for a 25 lb dog. Always double check the dosage on the back before giving your dog this. 3) Keep the correct dosage for your dog in individual ziplock bags marked with the dose with a permanent marker on the ziplock, so when you are in an emergency you can quickly give him/her Benadryl without worrying if the dose is right and when the Vet asks how much was given, you'll be prepared to answer. If you've noticed a theme here, you're right. Most of these first aid kit items come in single- or temporary use. 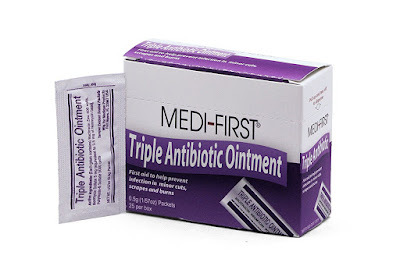 When you are out hiking you don't need to carry the whole box of ointment or gauze - just a little. Restock each item as needed. Always consult your Vet after you've given any medication or sealed a wound. Making your own Pet First Aid kit is much cheaper on your own, and you can put in the items you will actually use. I highly recommend taking a Pet CPR & First Aid Course in your city to you can be fully prepared to help care for your pet on the trail if there is an emergency. In Utah, UEMTC (this is where I took my class and got certified) will randomly offer a Pet CPR & First Aid Course, and another option is to take a course through PetTech, which is offered nationwide. 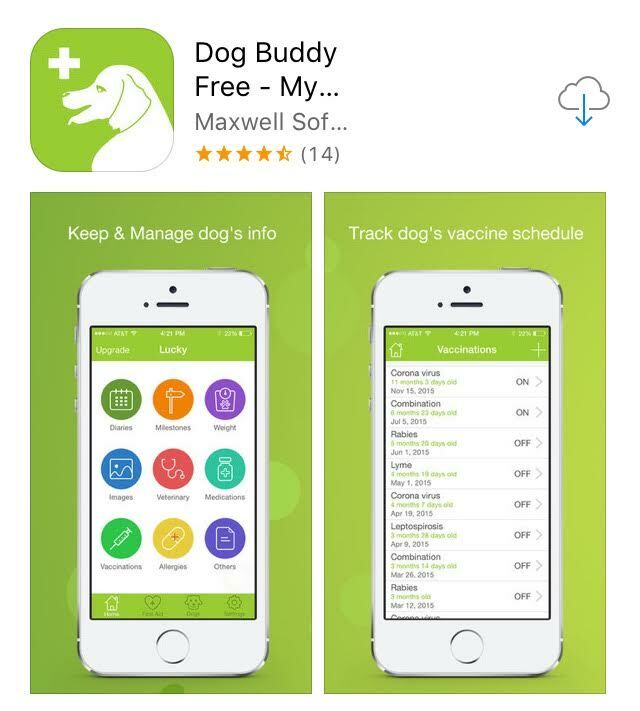 Dog Buddy and Pet First Aid by the American Red Cross both have apps you can download - each has info on basic pet first aid and you can track everything (meds, weight, allergies, record milestones, etc) right on your phone/app. 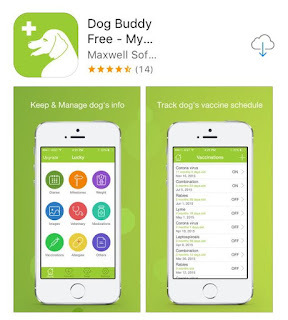 I use Dog Buddy just because you can use it for more than just first aid help. 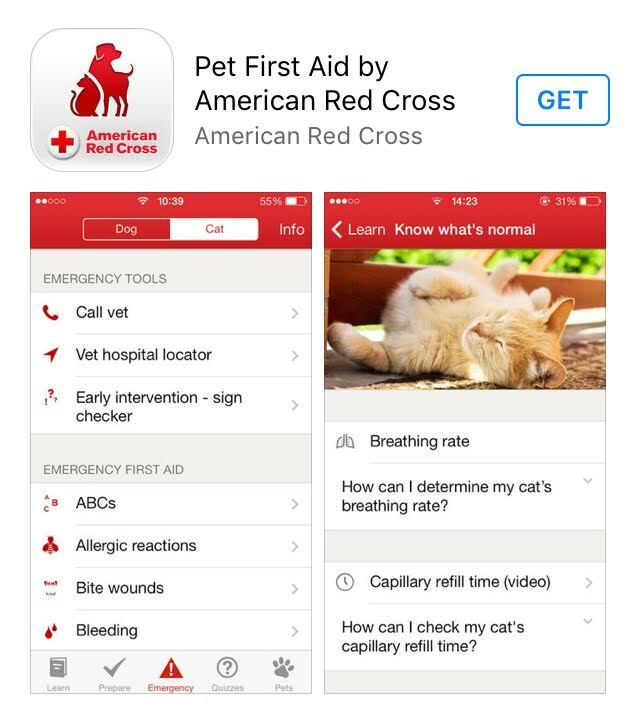 The Pet First Aid by American Red Cross is specifically for first aid (so no tracking of anything else). This this post could help a friend or dog out? Share it on Pinterest!